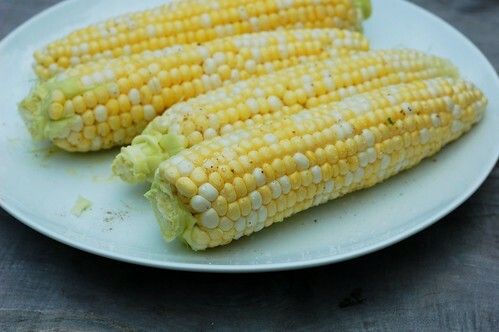 Although I grew up eating sweet corn every summer, somehow, I had never eaten it grilled until last summer. Unbelievable! I started humming "something tells me I'm into something good" at the first bite... It was sweet, salty, and a little bit smokey with nice little zings of mild heat from the black pepper. 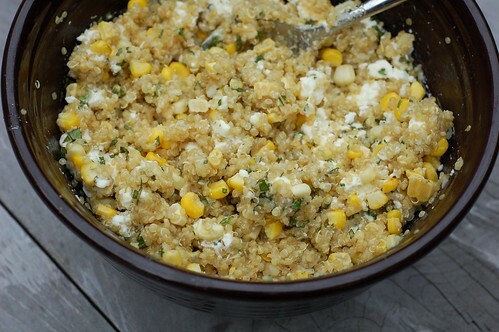 I asked our friend, Kali, what magic she'd worked to make it so tasty and she looked at me like I was just a little bit crazy, "You mean the corn? 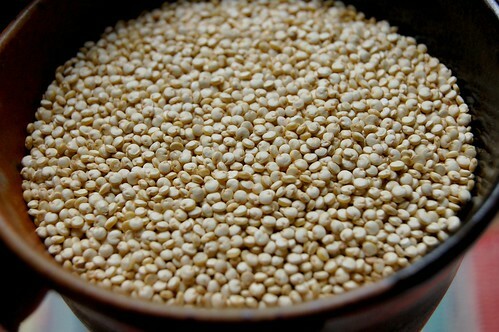 It's really simple - just olive oil, salt and black pepper." That sounded like my kind of recipe - quick, easy and delicious - so I gave it a try soon afterwards. The results were equally good! 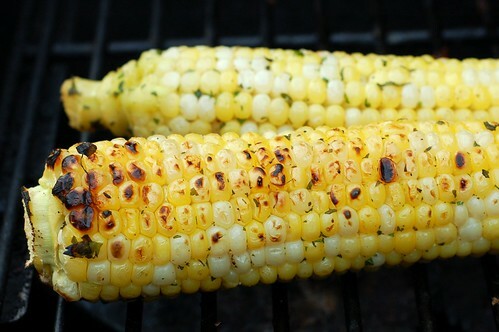 I especially love how the mild heat of the fresh pepper is heightened by the grilling - it gives it a nice little kick. 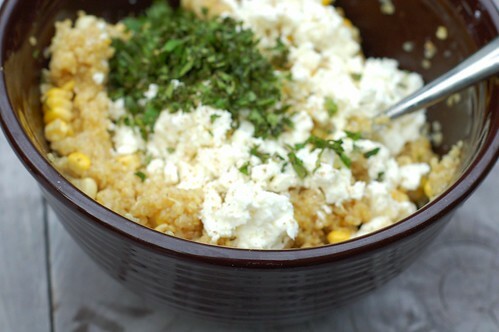 Buy your corn from a local farmer and try to get it at the farmers market to ensure that it was picked very recently (this will also benefit your local farms and farmers!) The fresher your corn is, the sweeter it will be as the sugar starts turning into starch as soon as it's picked. Don't skimp on the salt and pepper. Give it a nice light char - I know burning food is bad for you but the flavor it imparts is incredible and since this is a vegetable, I doubt the charring is carcinogenic. And please do not be afraid to play with this recipe! 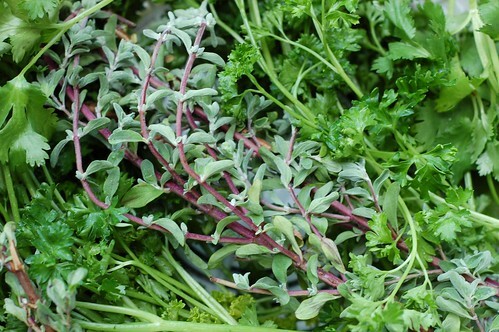 I sometimes add a mixture of chopped fresh herbs from the garden -- oregano, basil, and cilantro -- and it's delicious. My cousin, Nina, (an honest to goodness Chef who is sometimes on TV!) 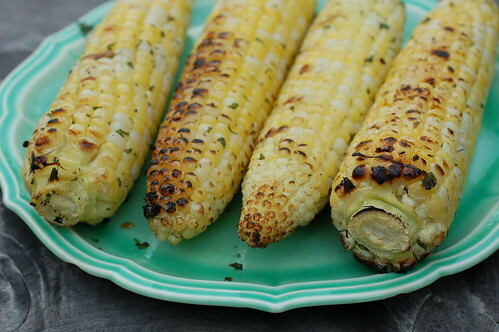 does a riff on the ever-popular Mexican street corn by slathering her grilled corn with chipotle mayo and splashing a bit of lime juice over it. And those are just two ideas out of many, many more possibilities. 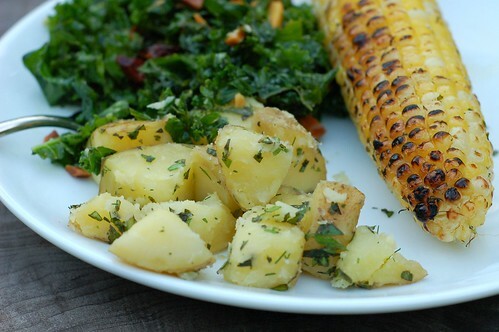 The photo below is of the herbed version along with my favorite, new kale salad and a tried and true classic, steamed potatoes slathered in herb butter*. Yum! 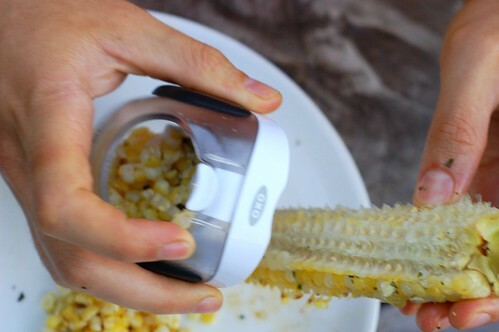 A sharp knife works pretty well but my husband got me this handy-dandy OXO corn stripper for my birthday this spring and it works even better. 1. 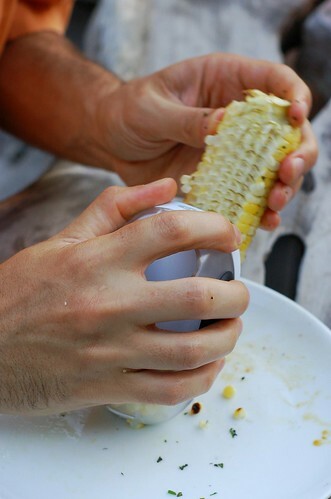 Shuck the corn, removing the husks and any silk left clinging to the cobs. 2. Preheat and clean your grill. You'll want even, medium heat. 3. 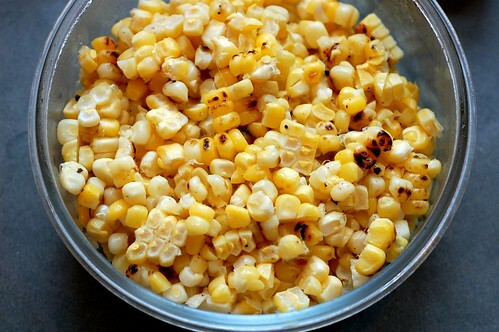 Rub the ears of corn with olive oil, then sprinkle with sea salt and freshly ground black pepper - don't skimp on any of these things!